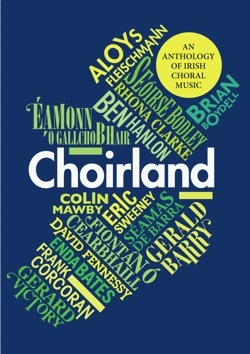 A number of works from CMC’s choral music anthology, Choirland, are now available for licensed download. Produced in 2011 in partnership with the Association of Irish Choirs and Chamber Choir Ireland, the album features a selection of 15 pieces by Irish composers for unaccompanied mixed choir. The music ranges in difficulty from the simple to perform, to the more challenging, and aims to showcase the diversity and vibrancy of Irish choral music. Each piece is presented with performance notes designed to aid conductors and singers alike, and the book includes a CD recording of the music by the National Chamber Choir of Ireland conducted by its Artistic Director Paul Hillier. You can download a licensed copy of scores from the album here and order a printed copy of the album and CD here.